To get FREE Natural Pine Wood Carving Spoon Blank for Prime Members click the link in their post and then in messenger click the “get started” option. 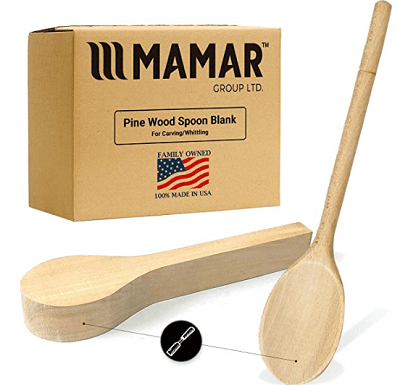 Follow the steps and they will send you a promo code to get this MAMAR Natural Pine Wood Carving Spoon Blank on Amazon for free. Be sure to clip the 5% off coupon as well. Shipping is free with prime. They have a limited amount each day, but it resets at 4AM eastern time, so try to get in after that time.